Photos by Ian Thomas (left; bottom left shows nest), Brian Starzomski (bottom middle, adult with chick), Mike Munroe (bottom right) and Josh Silberg (top right). 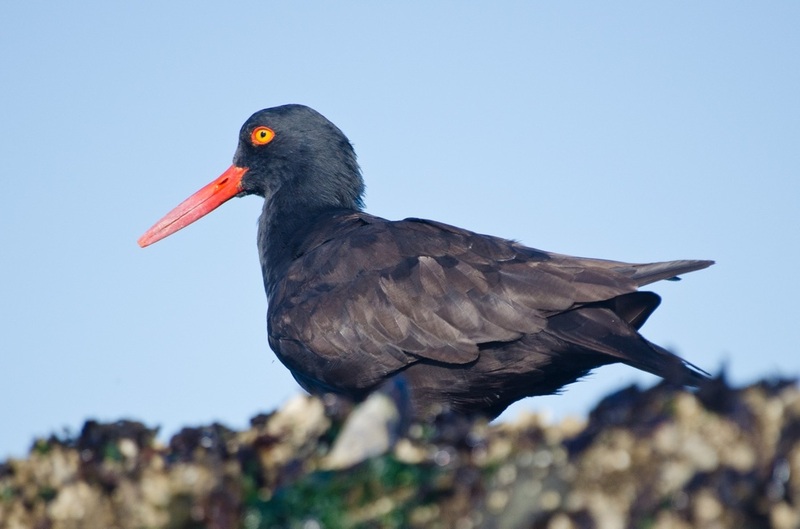 The black oystercatcher is a large, noisy seabird that is easily identified by its long bright orange bill. It is black to dark brown all over, with pink to orange legs and feet. An simple description is that it looks like "a crow smoking a carrot". 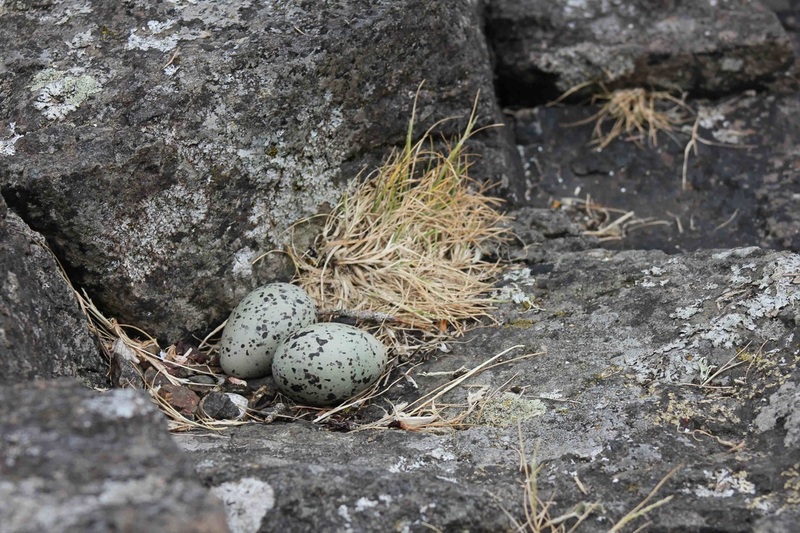 This bird is found year-round off the West Coast of North America from Mexico north to the Aleutian Islands. It resides on rocky shores and islands. This easily recognized species eats molluscs, particularly mussels and limpets. 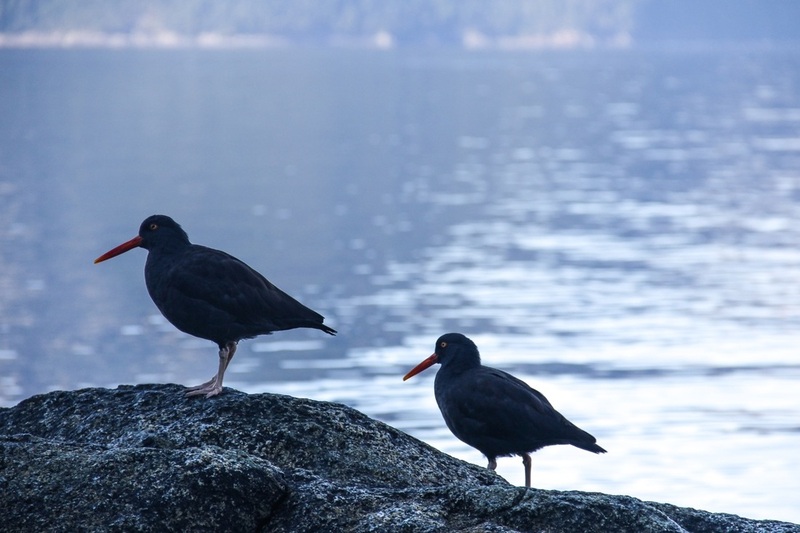 Although the black oystercatcher has a relatively small population, with less than 10 000 mature individuals, the large range and relative stability of the population keeps the birds ranked as least concern on the IUCN Red List of Threatened Species. 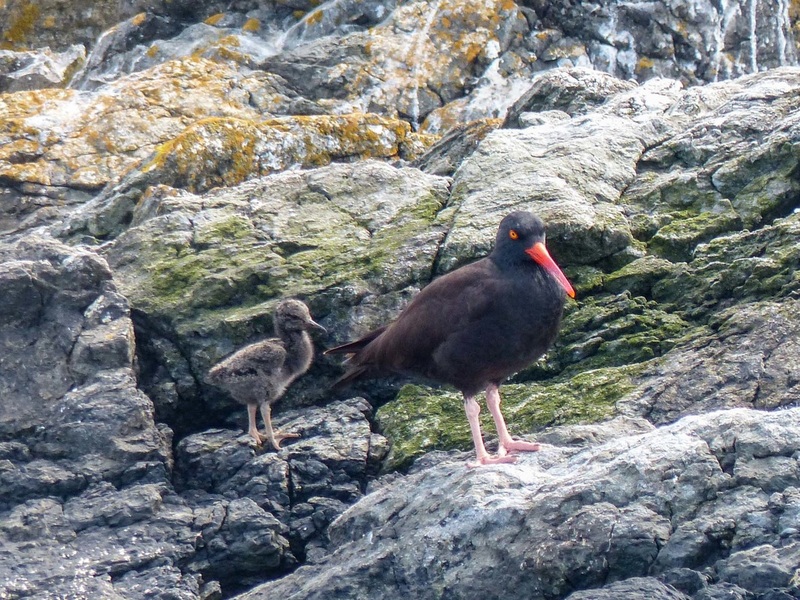 However little research on the population trends and risks to the Black Oystercatcher exists, and the species may be at risk from large-scale disturbances, like oil spills. Dunn, J. L. and Alderfer, J. (Eds.). (2006). National Geographic Field Guide to the Birds of North America. (5th Ed.). Washington, D.C.: National Geographic Society. Pp. 160-161. 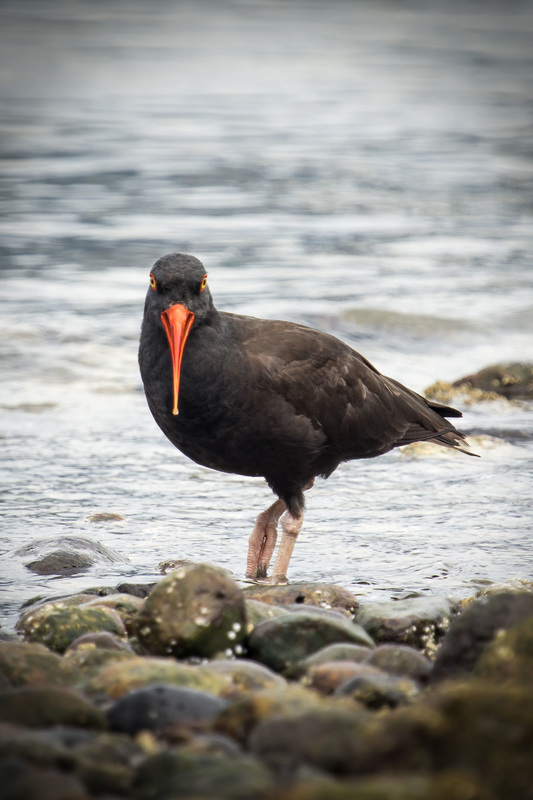 Black Oystercatcher. Haematopus bachmani. The Birds of North America Online (A. Poole, Ed.). Ithaca: Cornell Lab of Ornithology; Retrieved from the Birds of North America Online. Accessed 17/03/2013.